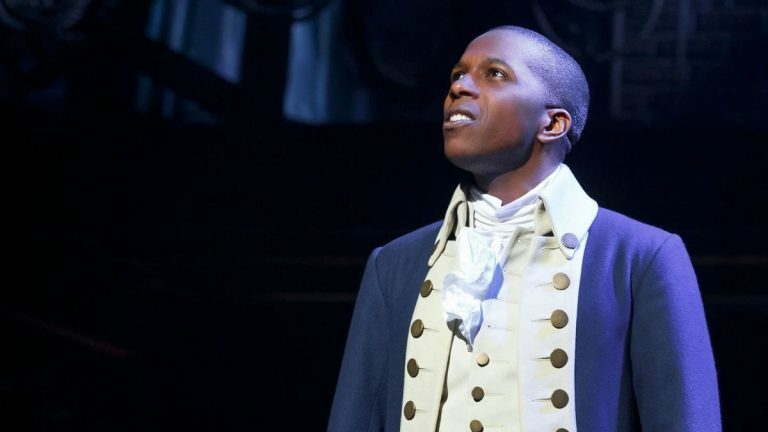 This year, the USF Week University Lecture Series (ULS) speaker will be Leslie Odom Jr., Hamilton star and author. The lecture, held in the Marshall Student Center Ballroom on Tuesday, will likely take on the view of his latest book, Failing Up, which was released last week. Odom has been acting on the stage and on the screen since he was in his late teens, getting a role in Rent when he was 17. However, his most recognizable role was as Aaron Burr in the original cast of Hamilton. He was first drawn to the role of Burr when a video of an early version of the incomplete script started making the rounds. One song for Burr’s character, Wait For It, stuck out to Odom in that early version because of its tempo and gospel style. Odom went on to audition and land the role of Burr for the first full run of Hamilton, for which he later won a Tony award. Before his Hamilton success, however, Odom considered leaving acting for a more steady profession. “He said, ‘Well, I think what you’re doing is that you’re sitting at home and waiting for the phone to ring. When the phone rings, you’re there and ... sometimes that can get you a gig. But what did you do today in the absence of a ringing phone?’” Odom said. This question of "What work did you put in today that will help you improve tomorrow?" became a central question in Odom’s book, Failing Up. The ULS lecture will be in the Ballroom, which can hold up to 1,000 people. As of 4:30 on Thursday, 423 students had reserved seats. ULS staff could not be reached via phone on Monday for updated numbers. It will start at 8 p.m. and Odom will sing three songs along with his speech.